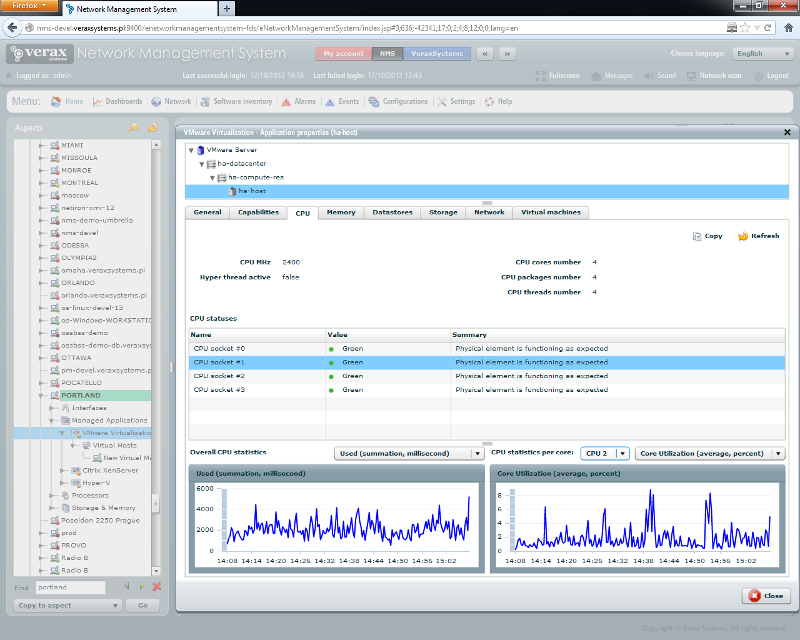 Verax NMS & APM VMware ESX/ESXi/vSphere management plugin enables easy monitoring, alerting, health check, management and performance reporting for VMware ESX/ESXi and vSphere servers. Supported versions include 3.5, 4.x and higher. 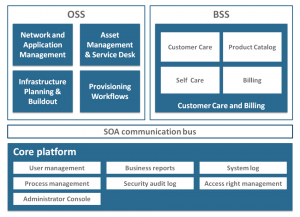 VMware vSphere web-services API is used as the management protocol. CPU and memory: total/effective CPU GHz, effective memory, CPU cores, CPU threads, hosts, etc. General information: powerOn status, uptime, hardware model (e.g. VMware Virtual Platform), CPU cores, memory size license product name (e.g. VMware ESX server), BIOS version, API type, etc. Performance statistics for: CPUs, memory, disk and network transfers, etc. 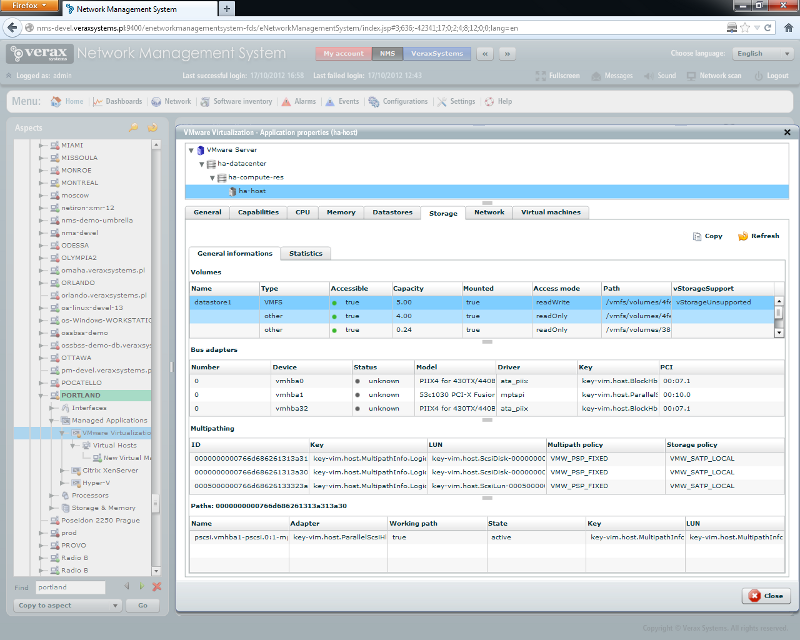 Capability parameters such as “VLAN tagging supported”, “Max running VMs”, etc. CPU: # of cores, assigned sockets, speed information, statuses, hyper-threading status and performance statistics such as utilization, idle, user and wait times, etc. The plugin offers predefined, built-in health sensors for instant health checking of virtualization infrastructure elements such as CPUs, software components and others. The plugin offers virtual machine management actions such as shutdown or start, that can be used in conjunction with NMS business rules in order to create IT automation scenarios. For instance, when a web service running on an Apache Tomcat instance within a virtual machine stops responding, restart the entire machine. The plugin provides predefined templates (listed in the table below) for most commonly monitored items (e.g. 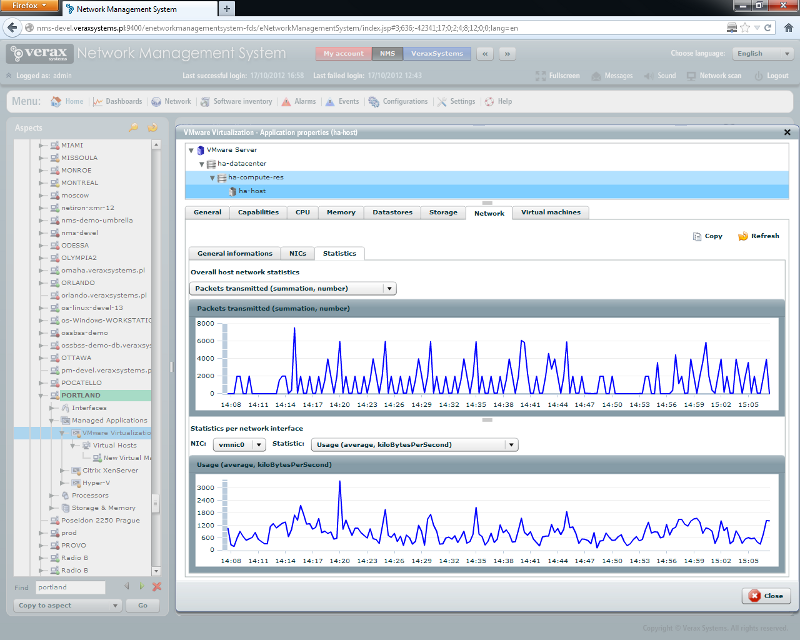 threads, CPU, memory, applications and others) with default sensors and counters compatible with the vSphere client. Other, user-defined sensors and performance counters can be added. VMware Aggregated disk I/O rate. For hosts, this metric includes the rates for all virtual machines running on the host during the collection interval. VMware One of four threshold levels representing the percentage of free memory on the host. The counter value determines swapping and ballooning behavior for memory reclamation.